Man, are these tasty, moist, fairly healthy and super easy to make, or what? Seriously, I actually managed to impress myself with these and will be making them time and again! As you may know from my previous recipes, I really love using fresh produce in my baking. Apart from deep winter, you would not find anything home baked around here that would not revolve around some fruit or veg. 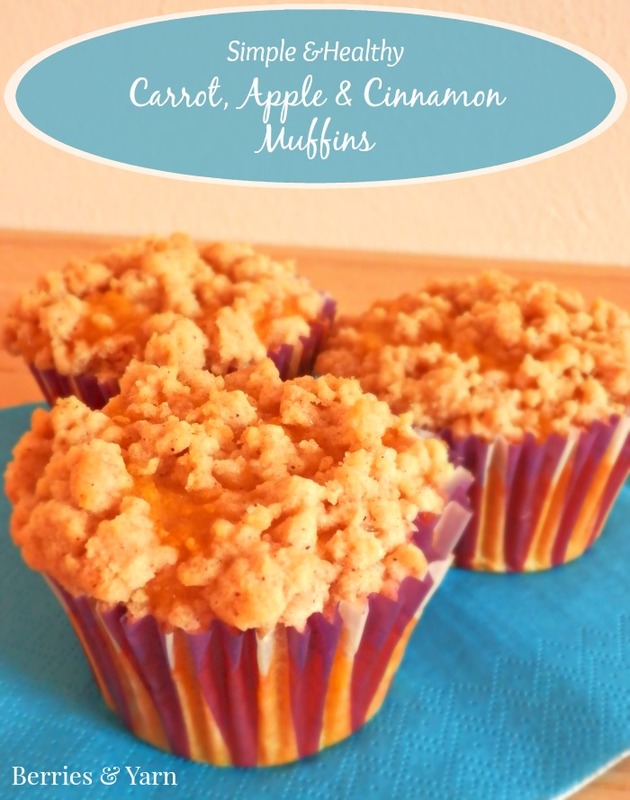 This time, I fancied muffins and wanted to use apples and carrots, with a dash of cinnamon. I tweaked my healthy carrot slices recipe a bit and out of the oven came these almost-too-good-to-be-healthy beauties. Mix the dry ingredients (flours, sugar, baking powder, salt) in one bowl and the wet ingredients (carrots, apples, milk, oil, eggs) in another. Make sure that the ingredients are well mixed and evenly distributed in both bowls, especially the baking powder. Then, quickly fold the dry mix into the wet mix using a rubber spatula, until just combined. Divide the batter between 12 muffin liners, filling about 3/4 of each. Generously sprinkle the streusel on top, almost completely filling up the liners. Bake in the oven for about 40 minutes. 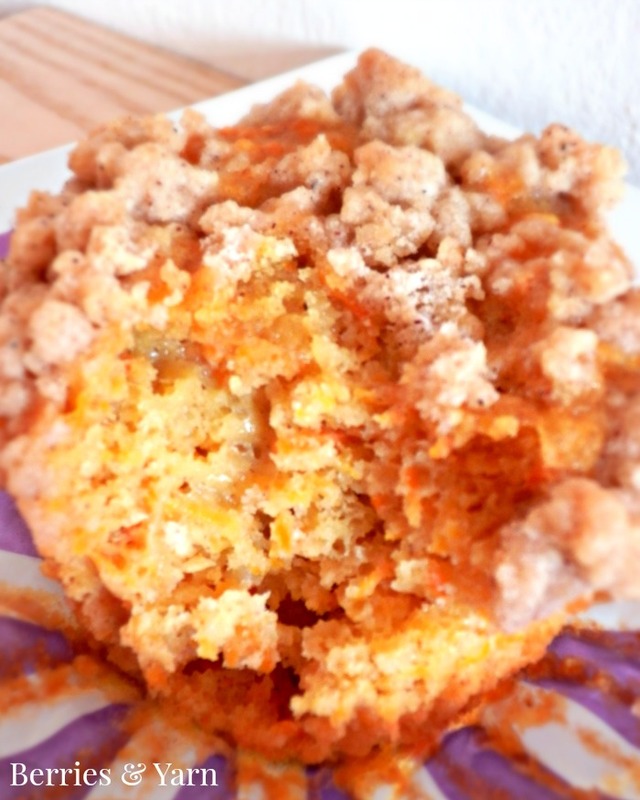 Whichever way you like to eat your muffins, you can be sure you will enjoy these. If you have anything left, keep it covered in the fridge or freeze.